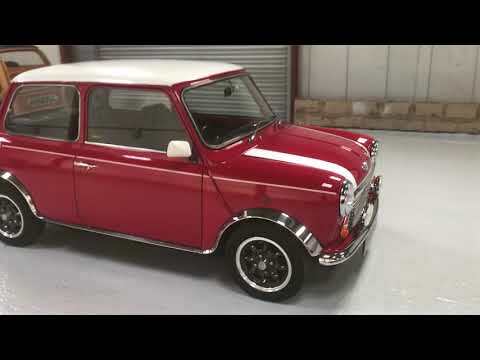 Always makes you smile the 1275 Mini Cooper, built at Longbridge under the Rover name. The car was supplied with the SPI High compression engine and the 3.10 ratio axle. Supplied new to the Rover group, who was the first owner and then to Mr Newell, last owner purchase in 2012. The car is documented 31,000 miles and has a lovely history file. Do not hesitate to contact us if you would like to view or discuss.